Assist in drafting and preparing background documents, reports, issue briefs, talking points, articles, presentations etc. Attend and summarize conferences and meetings. Support organization of meetings and conferences, for example the 2019 Global Platform. Assist data collection of disaster risk reduction practices. Conduct research and provide analysis on relevant disaster risk reduction and sustainable development issues. Support research on risk knowledge. Support the review of key publications. Support the work on Global Assessment Report on Disaster Risk Reduction, Sendai Framework Monitoring, Words into Action, Making Cities Resilient, International Day for Disaster Reduction, World Tsunami Awareness Day etc. English and French are the working languages of the United Nations Secretariat. Fluency in spoken and written English is required for this internship. 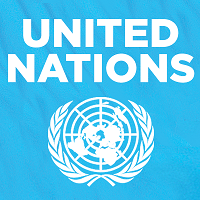 Knowledge of an additional official UN language is an asset. Arabic, Chinese, English, French, Russian and Spanish are the official languages of the United Nations Secretariat. Completed online application (Cover Note and Personal History Profile) is required. Incomplete applications will not be reviewed. Preferred duty station(s) for the internship. Title of degree you are currently pursuing. Graduation Date (When will you be graduating/ have graduated from the programme?). IT skills and programmes that you are proficient in. Top three areas of interest.